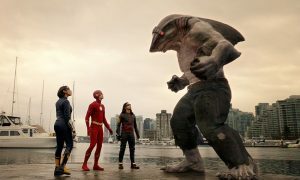 The Flash season 5 is great whenever it’s focused on being a family show. That was the case in this week’s very fun episode. “News Flash” had a nice Smallville feel to it. A blogger named Spencer Young (guest star Kiana Madeira) gained the ability to hypnotize people with a dark mattered power cell phone. All the hypnosis scenes had the exact right amount of cheese to be enjoyable. The stakes became real when Spencer hypnotized Nora West-Allen into attempting to murder Barry Allen. This episode worked so well because the emotions were strong. It resonated so much that it didn’t matter how ridiculous the idea of blogger cell phone hypnosis was. 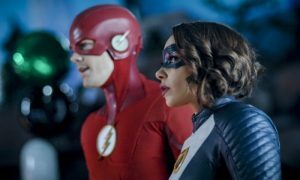 The tension between Iris West-Allen and Nora increased until Nora chose to live with Joe West and Cecile Horton instead. The dynamic between all three West-Allens has been a joy to watch all season and especially in this episode. It worked during their cute breakfast scene in the beginning and it worked during the emotional fight at the end. The dynamic feels natural and complicated. It’s hard to believe it was only introduced at the beginning of this new season. 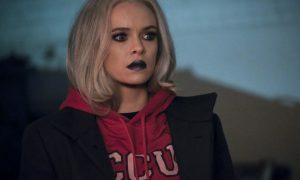 The episode also revealed that Nora likes women. 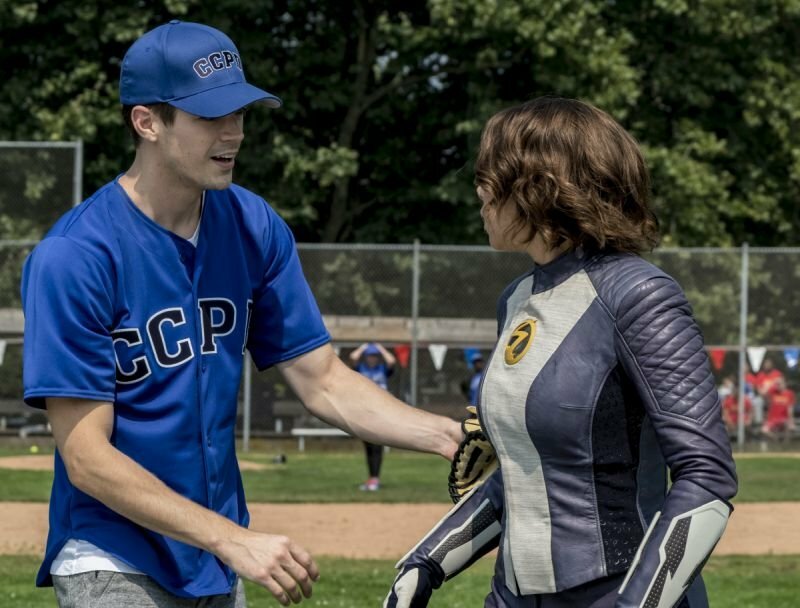 The Flash has always been behind the other DCTV shows in portraying LGBT characters, so this was a nice reveal. Nora’s flirtation with Spencer made for some very fun moments.